What are the cartridge numbers of HP PSC 2350 series all-in-one inks? Provided the printer was purchased in the UK, then you will require the HP 338 (C8765EE) black cartridge and the HP 343 (C8766EE) or the HP 344 (C9363AN) colour cartridge. Please scroll up to the top of the page and work your way back down to view the full range of inks for this printer. With so much choice available out there, you might be forgiven for getting a little confused at times as to which printer is the best option for you and your home based needs. The HP PSC 2350 is a printer which has been often overlooked as it doesn't feature in the well-respected Photosmart range, but it does have plenty to offer. Here is a brief review of the important features of the HP PSC 2350. In terms of physical set-up, the HP PSC 2350 offers a very subtle finish. The dark silver tones, almost grey from certain angles allow this small yet well-formed printer to fit comfortably into a range of spaces and rooms, regardless of décor. In addition, the HP PSC 2350 boasts the kind of well thought out user interface for which the Hewlett-Packard range has become famed. The key advantages where the HP PSC 2350 are concerned are the relatively low price and the quality of print outs which can be made with the HP PSC 2350. Though the HP PSC 2350 does not offer the same number of quirky bonuses as a Hewlett-Packard Photosmart printer, it has plenty of potentially pleasing perks, including high quality text documents. 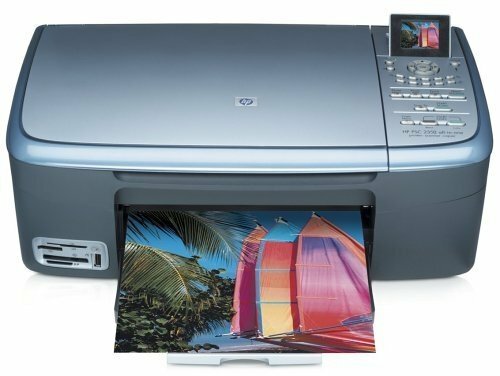 As this is something of a budget model, you probably shouldn't expect too much from the HP PSC 2350, but as long as you know its limitations, you should have a long and healthy relationship with this printer, one which won't cost you a huge amount of money either!